Tottenham have become the first Premier League club to go an entire summer without signing a single player since the transfer window was created in 2003. 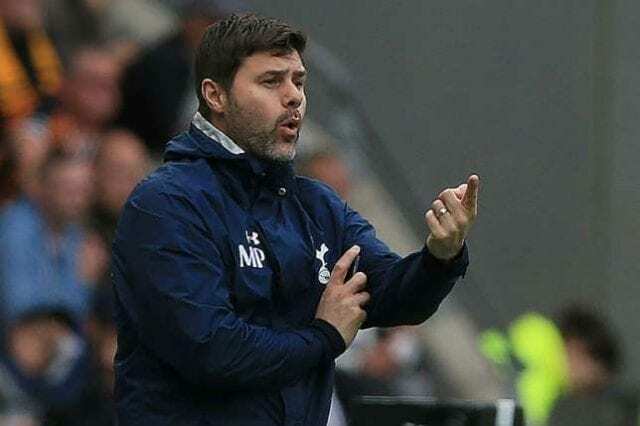 Thursday’s deadline passed without Spurs signing any new players, either permanently or on loan, so coach Mauricio Pochettino will open the club’s new stadium with the same squad that finished third in the Premier League in May. In addition to being the first Premier League team in 15 years to make a summer signing, Tottenham are also the only club in Europe’s top five leagues and England’s top four tiers without a new player this summer. Tottenham were rebuffed in their efforts to sign Jack Grealish from Aston Villa, with sources saying the Championship club refused to sell at any price, let alone for Spurs’ £25m bid. Paris Saint-Germain also received an enquiry from Tottenham for left-back Layvin Kurzawa, one source said, but the interest came too late. Spurs did commit to spending some money this summer, but only to those already on the payroll as Pochettino, Harry Kane, Erik Lamela and Son Heung-Min all signed new contracts. Tottenham were not big sellers, either, as they managed to hold onto Toby Alderweireld amid links to Manchester United. Spurs can still sell or loan out players to foreign clubs whose transfer windows remain open, such as a the possibility for Vincent Janssen to go back to Fenerbahce.